With snow and ice still on the ground we have cancelled our planned session in the Queen's Park on Sunday 4th March. The second of our Queen’s Park training sessions will be on Sunday 4th Feb 8.30am - 9.30am. Adults and children welcome, no charge. Meet at the cricket pavilion and complete as many laps as you like. 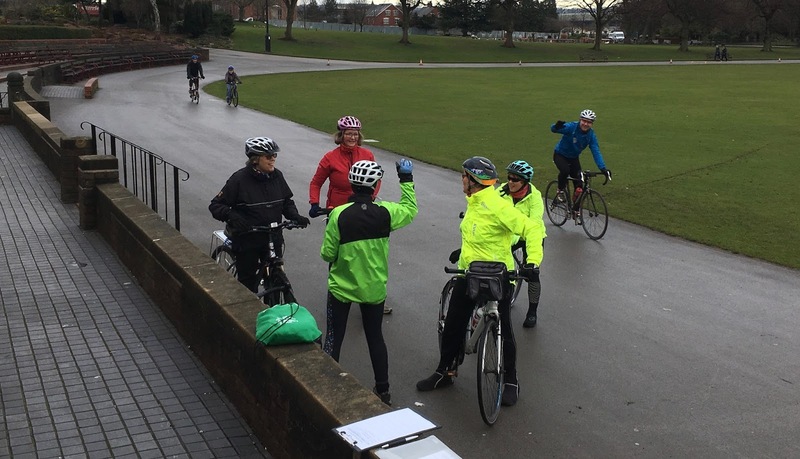 Our first session in January attracted 20 riders on a very frosty morning! Please check social media (this website, Facebook & Twitter) if the weather looks 'iffy'. The first of our 3 winter sessions in the Queen's Park will be on Sunday 7th January. Come to the cricket pavilion where we will be based between 8.30am and 9.30am. Do as many laps and stay for a few minutes or the full hour as you wish. No formal coaching, just an opportunity to complete some laps on a traffic free circuit.